Nab a Pokemon Go Frappuccino and play Pokemon Go with friends at each Starbucks location in the US! That entire Pokemon Go and Starbucks collaboration we just talked about? 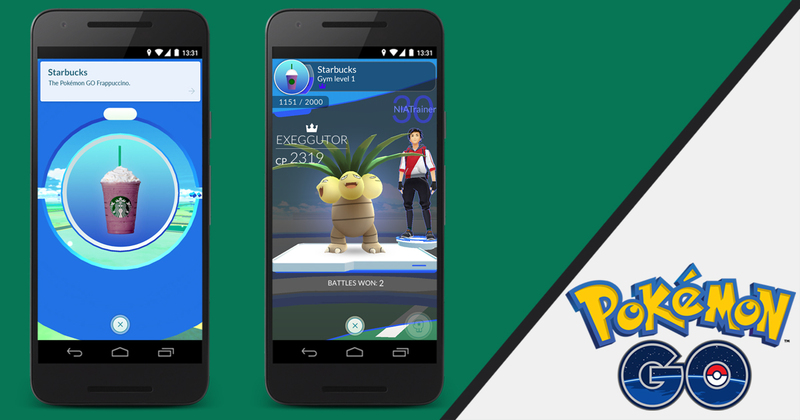 It's real, and it's happening, with over 7,800 Starbucks locations in the United States turning into Poke Stops and/or Gyms, selling new Pokemon Go Frappuccinos and more. Unfortunately, the idea that there could potentially be additional Pokemon coming with the promotion has been played down, as it looks like this is more of a promotion for Starbucks and not for the players so much, since no one was really asking for additional gyms and Poke Stops or a new beverage, but more Pokemon to catch. The beverage itself is a Vanilla Bean Frappuccino with raspberry syrup, freeze-dried whole blackberries, and whipped cream. It sounds pretty tasty, but then so did the special Frappula drink for Halloween, which was absolutely disgusting. In any case, it's unfortunate that this isn't a promotion for several new Pokemon. Hopefully in the future we'll get what we've been looking for over the past few months. New Pokemon have to be on the horizon sometime!